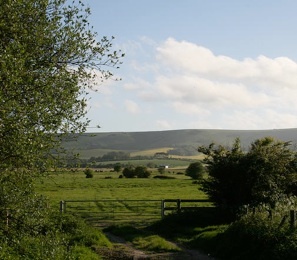 The field is situated about 25 minutes walk from the historic town of Lewes, Sussex or about 5 minutes by car. It is accessible by foot or car and ample parking is provided on site. It is also a short walk from the train station which has good connections to the rest of the country, being only an hour from London. The Party Field is also just a short walk from the Kings Head and the Swan Inn, both traditional Sussex pubs serving good food and wine. There are many more pubs, restaurants and bars in Lewes town centre. The surrounding villages also have welcoming family pubs with good food and local beers, a good place to start is the Ram Inn at Firle or the Half Moon in Plumpton. 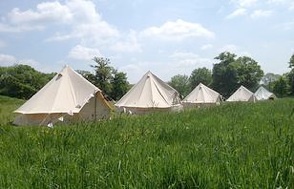 The Party Field lends itself to anything from a relaxed family camping weekend to a fully bespoke event managed occasion.